LAS VEGAS -- CES 2019 -- The big Consumer Electronics Show is winding down here in Sin City, and despite the fact that 5G is already commercially live in a few cities across the country, show attendees didn't really get much in the way of anything new, exciting or concrete on the 5G front. Instead, much of the discourse here at the show was the same kind of "5G is going to be a quantum leap" rhetoric that those in the wireless industry have been hearing for years now. But that's in part just due to the nature of this particular trade show. "The Consumer Electronics Show is a consumer electronics show and not a wireless show," explained Recon Analytics analyst Roger Entner. "You get secondary kind of news." This kind of bickering is to be expected. Given the decades of heated competition in the wireless market, coupled with recent belt-tightening by carriers and vendors, there's little chance that all four nationwide wireless network operators would make an orderly procession toward 5G without some amount of jostling. Nonetheless, the wider tech industry probably won't have to wait too much longer to get a clear look at some real 5G phones: Samsung Corp. just this week scheduled a media event for February 20 where it will likely announce its next Galaxy flagship smartphone, including possibly versions with a foldable screen and 5G. So what to make of this year's CES? What were the big takeaways, at least in terms of 5G? 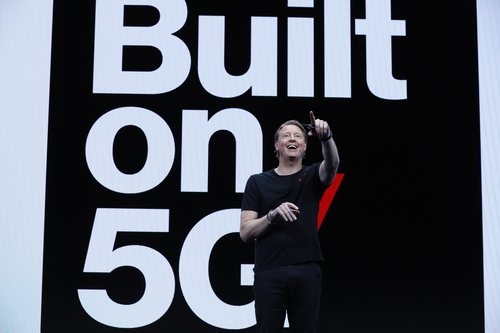 Overall, Vestberg's message was relatively clear: 5G will ultimately be used in a variety of different market sectors for a variety of different applications and services. Meaning, it's not going to be LTE on steroids. "Consumers need to become aware of what 5G can do," Recon Analytics' Entner argued. "It's a whole different set of experiences." Others, though, offered a bit more cynicism. GlobalData analyst John Byrne pointed out that "Vestberg offering $1 million for innovative 5G ideas which, while well intentioned, also signals that the industry has a lot of work to do to get to a lot of the advanced use cases that have been envisioned for 5G." "The operator keynotes [at CES] highlighted the merits of 5G, but articulating this to consumers will be a hard sell. Therefore, greater focus is being placed on enterprise use cases," added Paolo Pescatore, an independent tech, media and telco analyst. The issue is clearly going to be an uphill climb for carriers: According to a new survey of 15,000 mobile users in 16 markets conducted by GSMA Intelligence and reported by MWL, almost 25% of respondents were unable to name any 5G benefits. So should the wireless industry collectively avoid CES? Analyst Mark Lowenstein, managing director of Mobile Ecosystem, said that CES remains an important industry event in terms of discerning tech directions. For example, he said this year's event showed that vendors are making progress on the IoT and autonomous vehicles. Peter Jarich, head of GSMA Intelligence, agreed. "It's easy to get caught up in the news from CES and miss out on the broader messages and business themes it telegraphs. Love it or hate it, though, it's impossible to deny the importance of CES, not just for retailers or gadget buyers, but for anyone looking to understand the shape of service provider and enterprise business strategies," he wrote this week. Ultimately, though, wireless executives across the spectrum agreed that CES ultimately is just an appetizer. The upcoming Mobile World Congress trade show -- to be held in Barcelona, Spain, February 25-28 -- will be the main course. "The real news will be in Barcelona," said Recon Analytics' Entner. "It seems clear that the MWC positioning is well underway and I fully expect lots of operators to provide more details about their 5G rollout plans there," GlobalData's Byrne said. "Mobile World Congress will now be awash with 5G device announcements ahead of network launches later in the year. 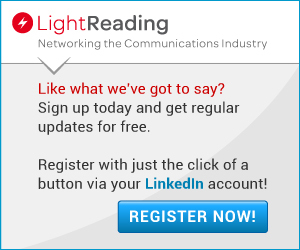 Congress in Barcelona will be a much better fit for 5G news than CES," Pescatore said. And Qualcomm's Durga Malladi -- the executive who for years helped lead the company's research into 5G and who is now is in charge of the sale of its 5G products -- said Qualcomm plans to go all-out in Barcelona. Without providing specifics, he said that Qualcomm's CES operation will pale in comparison to its MWC efforts. This all raises one final question: Is 5G worth all this hype? Many contend the answer is a resounding "yes." "It really does make sense to talk about 5G as more than just another G," GSMA Intelligence's Jarich said. "When these applications are running, people will say 'wow,'" said Entner.